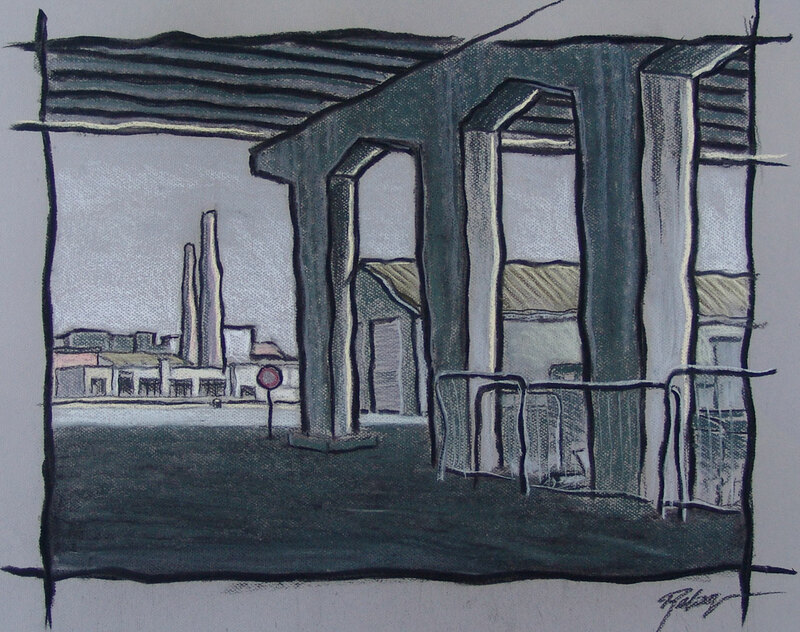 2 Charcoal paintings on paper, view under a bridge in Antwerp North. This area felt like a no man’s land. 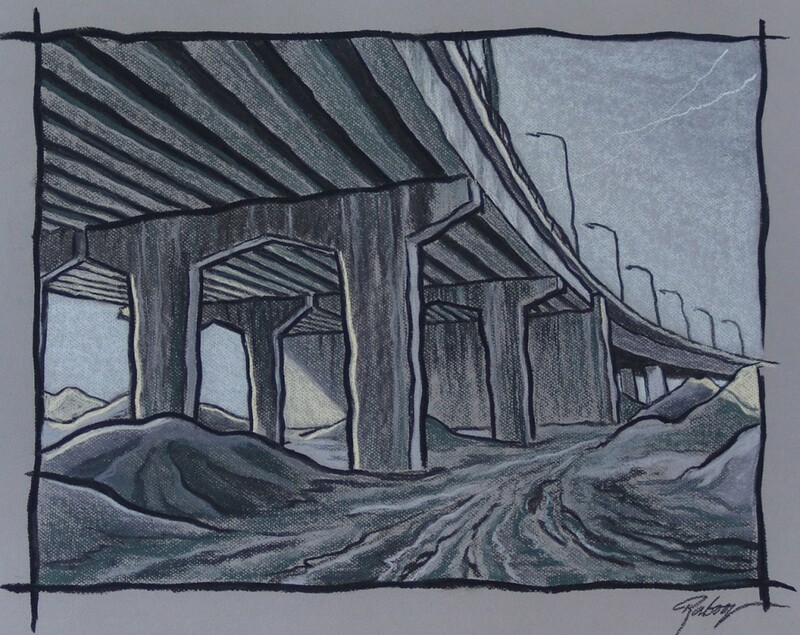 Under the bridge shown from two angles.